Skate clinic, therapy, roofers, doctor appointment, target run, overall busy day! I got to go to the skate park with my boys today while Makenzie was in therapy! As much as I love my daughter is was such a treat to be able to watch them skate with nothing but my camera to keep track of or take care of!!! Usually Makenzie is very cranky at any kind of out door activity. She loves to go to the park and go on walks outside! However, it has to be just PERFECT weather. Usually right before dusk when the sun is down far enough to not be shining in your face. Makenzie does ok outside as long as it is not to hot or too cold. As long as it is not windy or bright and there is nothing falling from the sky! Ok well if you sit and think about that... how many days or times of day before 5pm can spend out side and be comfortable. Not many. Don't get me wrong.... we go anyway! I just spend the whole time finding shade, putting her hat on, fighting the total flextion (she won't hold her head up in the stroller and tries to curl up in a ball) she goes into the second she gets sun in her face, or pay for it with days of extreme tightness if she gets too cold. I am sure most of you take it for granted that you can throw the kids in the car and go! You might need a hat and sunscreen or a coat and gloves but you go and other then a bit of whining about being hot or cold there are no other issues! While at Disney World this summer I had that thrown in my face all day. Yeah, everyone was hot but overall it was not a big deal.... unless you are Makenzie and Makenzie's mommy. We had to know where every sliver of shade was. Also the air conditioned stores and rides where the only thing that made Disney possible for her. Thank you to Disney for being so accommodating to people with special needs! Yes, I would like my daughter to walk and talk. 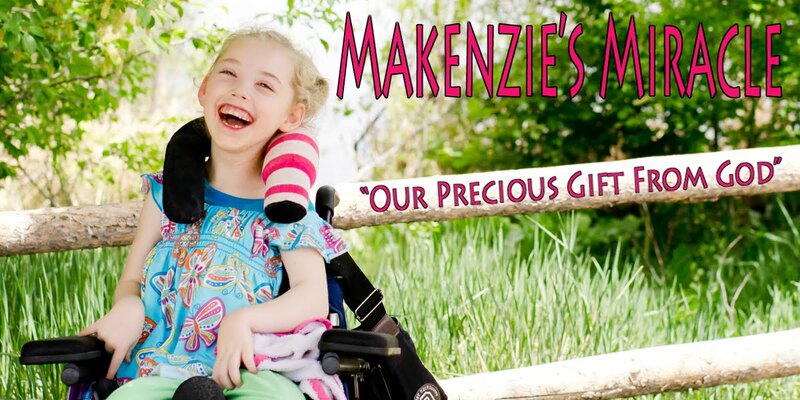 Even more then that right now I would like to simply be able to go outdoors to the pool, the park, the ice rink, soccer practice, parades, and amusement parks like everyone else... even if I am pushing Makenzie instead of chasing her! I would like the weather to not limit what I do with my boys. My daughter is part of our family and she comes everywhere with us! I also don't have really anyone to leave her with even if I wanted to leave her. I am not sure how going to the skate park this morning turned into a novel on the weather. It think it is because it was THAT great for me and if I didn't explain why, you might think I was a nut! For all of us special mommies with special kids it is hard to know that 98% of the people in our life including our family and close friends don't understand. Nor should they. Nor would I want them to because the only way you could ever understand is to live it. This life is not just about having a kid that eats weird, can't walk, or talk and rides in a chair. It is about so much more. There is so much that I never knew I took for granted. My life is sweet. I am blessed! I have something that most don't... I know how special all of the things most people take for granted are! When my princess does something new I KNOW how BIG it is. I take so much more joy and pride in my boys. I know what a gift each and every milestone is. I can see God in so many parts of my life. Do you pay attention to these things in your life? If not .... you should! On a side note Makenzie did PHENOMENAL in therapy today! She was following directions almost instantly! There was no slow motion around here! She also continues to roll from side to side with great success. She is getting on her stomach and getting her hands up to push VERY quickly! These are the things that make my heart sing! Yeah Makenzie! Keep up the good work! God is so good to us!!! To God be the Glory! With Him all things are possible! Please stand and believe that with me! Keep praying for those cells to go where they need to!! Good job in therapy, Makenzie! I'm praying for those stem cells! Although I'm not that far into this "new" life, I totally get what you're saying about taking so much more joy in the everyday celebrations that simply include a movement or an expression. Thanks for giving me some of your strength! AMEN to that. I know most people don't understand and I don't want them to. I hate that I can identify completely with you. But I'm happy that now I don't take those things for granted anymore!